Check this out! 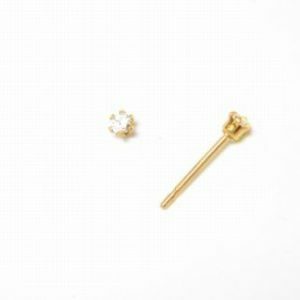 Five matching designs of childrens earrings for sensitive ears assembled in one collection for your shopping efficiency. Cut down $1.00 off of each style, saving $5.00 off of the price to buy each one on its own. Here are 5 of our most loved children’s earring designs in silver, assembled for you in one gift box, excellent for any occasion. Each of the styles was chosen from our collection of children’s earrings that parents and grandparents have purchased the most. Parents and grandparents alike love the ease of the gift box method. It saves effort over picking them individually and inherently gives them a combination of similar designs. Receiving this assortment is like getting a whole week’s worth of earrings — a different one for each day! 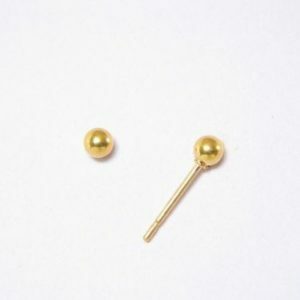 The earring body and post are made from high grade surgical stainless steel and then polished to a mirror-like shine. These children’s earrings are fun and rich in character. Each pair comes with a set of earring backs (clutches) made with the same surgical stainless steel material. The notched post provides a secure fit so they can be worn anywhere without the risk of them getting lost. As with all of our earrings, each of these childrens earrings for sensitive ears are backed by our lifetime guarantee against sensitivity. If at any time someone who purchased our earrings develops a reaction to them, we will take the earrings back and refund the purchasing cost. It’s very rare that such a sensitivity increase occurs, but if it does, you can rest assured that you can get your money back.